While a personalized memorial cannot preserve the moments we shared with our loved ones, it can preserve our memory for future generations and bring great comfort in a time of need. Computers can crash, ink will fade, but a memory preserved in stone will last forever. How do you want to be remembered? To see examples of granite colors click here. 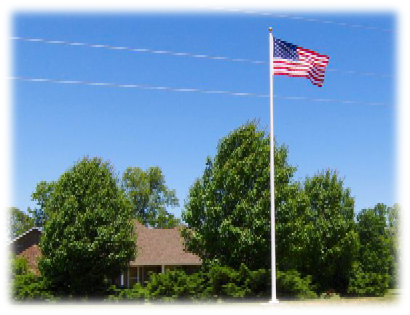 Aluminum Flagpoles are our specialty. We have been selling aluminum flagpoles due to a resurgence of the American spirit and feel that tapered aluminum offers the best value in outdoor flagpoles. Other materials might offer an advantage in certain specific conditions but in general, aluminum will last longer and age more gracefully that steel, fiberglass, concrete or wood. 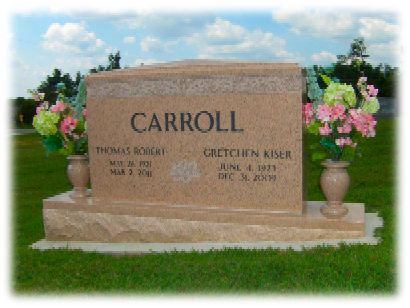 Not only do we offer beautifully-crafted grave markers, we also provide respectable and attractive urns for those who have undergone cremation. Choose from our selection of cremation urns for your loved one.